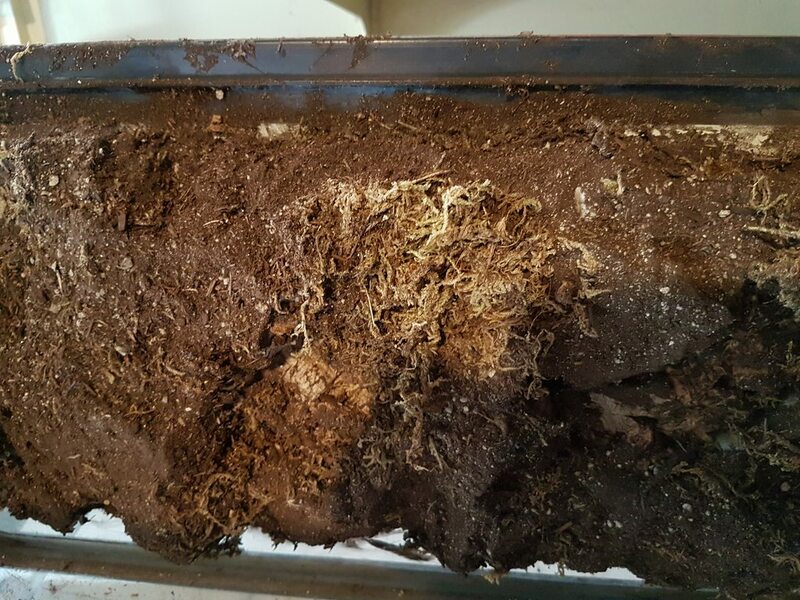 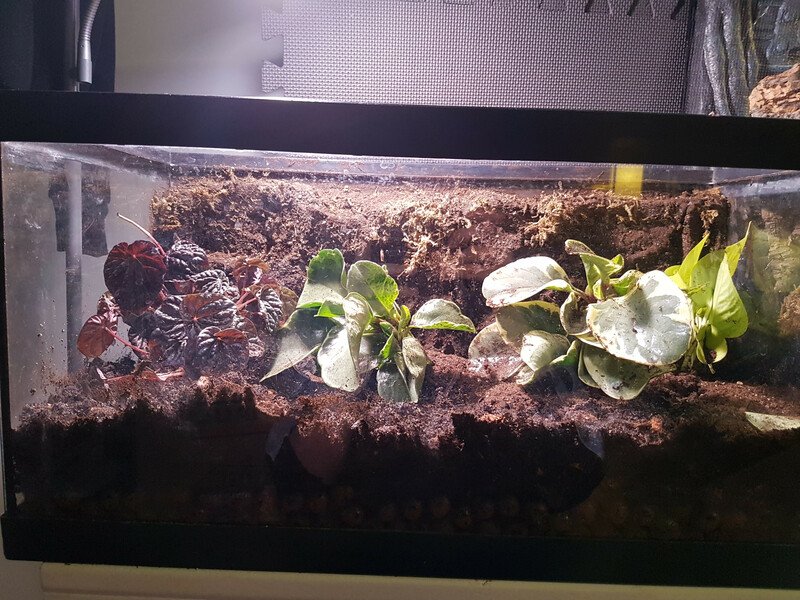 Here are couple of progress pictures of setting up my vivarium. kromar and Do_Gon like this. 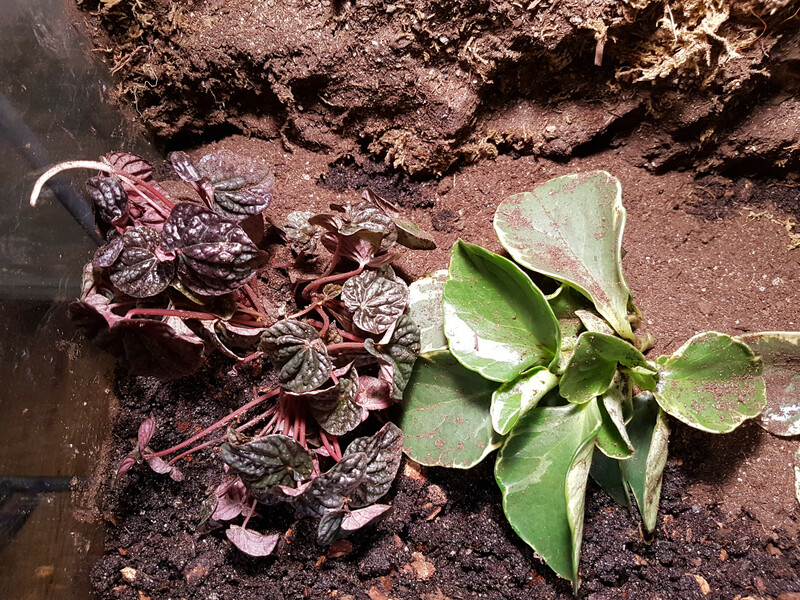 The plants are peperomia, one is P. caperata, the other I'm not quite sure what it is. 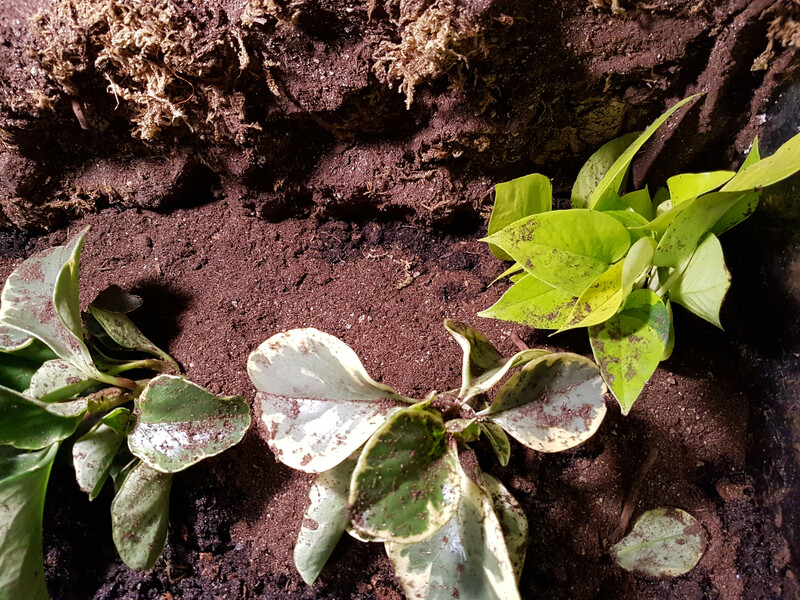 And a neon pothos as well.